In the 2012 bestseller, Leaving ADDIE for SAM, learning professionals were introduced to the Successive Approximation Model (SAM) and the Savvy Start—the key to a successful project kick-off. Together, these concepts incorporate contemporary Agile processes that simplify design and development, yielding more energetic and effective learning experiences. This companion Field Guide provides the job aids, tools, and templates you need to put the SAM methodology in motion and take your ISD practice to new heights. Complete with a foreword by Michael Allen, this book is an essential resource to create better, faster training products and “move the needle” on current training efforts. 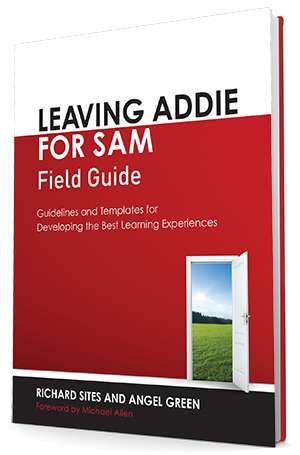 Apply the principles and concepts behind Leaving ADDIE for SAM. 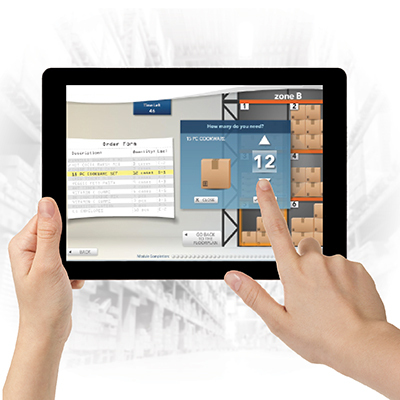 Update your training products with these contemporary, Agile design processes. Use the job aids, tools, and templates provided to work on actual projects. This gem is going right on my desk. The brilliant minds of Allen Interactions have saved us. The SAM approach provides an actionable way to deal with growing highly matrixed organizational choas. Return to delivering real performance not "blah, blah" content—get this Field Guide"